If you own a home, you know how important it is to have at least a basic understanding of the home’s infrastructure, as all homes inevitably require troubleshooting at some point. There are some problems that you can fix yourself and others that require a professional. Electrical problems tend to be tricky, and if you aren’t sure that you can take care of a problem yourself, it is best to call an electrician. By it’s very nature, your home’s electrical system is dangerous because it involves currents and electricity. You must be very careful diagnosing issues, and even more careful when you are troubleshooting. When in doubt, the safest choice is always to call an electrician. Here are some common household issues, along with a brief explanation of the cause and possible remedies. If you notice voltage surges or spikes in your home it could be the result of an outside factor, such as a severe storm. Voltage spikes can also be caused by internal appliances that place a large draw on the system. Common culprits are microwave ovens and power tools. Power surges can be dangerous and can drastically decrease the lifespan of electronics, especially “delicate” electronics such as computers. The easiest way to protect against such a problem is to install surge protectors. Plugging your devices into a surge protector helps keep them safe from voltage spikes. If power surges happen frequently with no visible cause, it could be the sign of a serious problem in your home’s electrical system. If you are unsure, it’s best to call an electrician to check your wiring and make sure it is safe. Circuit breakers can trip during severe storms, similar to power surges. Another common cause is high powered devices overloading the circuit. Hair dryers and other heating appliances are notorious for this. The fix is usually simple: go to your breaker box and reset the circuit that has tripped. If this happens often with a specific appliance, you may want to try moving the appliance so it’s on a circuit with fewer electrical draws. If this isn’t possible, you may want to look into wiring a new circuit. If you are unable to reset a breaker after it trips, there may be another problem elsewhere in the circuit, or your breaker could be faulty. In either case, you will want to call an electrician to be sure. Another common electrical problem in homes is lightbulbs that frequently burn out. The cause could be as simple as using the wrong type of light bulb for the light fixture in question. However, if this is a common occurrence in several places in your home, it may be the sign of a larger issue. Flickering bulbs may be an indication of a poor connection somewhere along the electrical circuit. 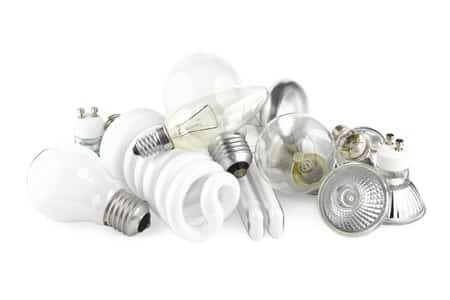 If you have bulbs that are exceedingly bright in some areas of the home and unusually dim in other areas, this may be a sign of a bad neutral connection somewhere. Another indication of this issue is if bulbs tend to pop too frequently or appliances stop working for no reason. A bad neutral connection can be dangerous and can cause serious damage to your home, so it is important to have it checked by a professional electrician. This entry was posted in Electrical on April 10, 2016 by admin. 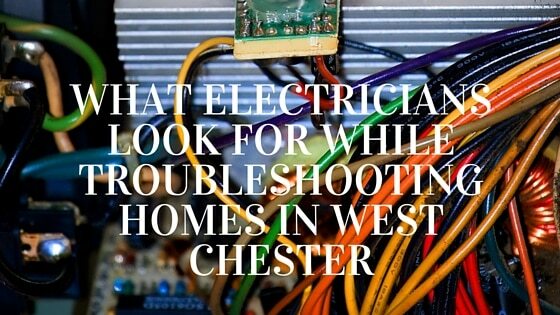 What do electricians look for while troubleshooting homes in West Chester? When you consider the sheer number of electrical devices that we use every day in our homes, it’s no wonder that professionals in the electrical trade – known colloquially as “sparkies” – are in such high demand. For electricians, minor repairs and safety preparations (for example, if you’re expecting children) are a small matter of easy and convenient work, but larger jobs such as rewiring and routing can take far longer. In order to ascertain the amount of work that a home requires, and what they can do for your home, sparkies check your wiring, panel box and various switches in a process known as troubleshooting. 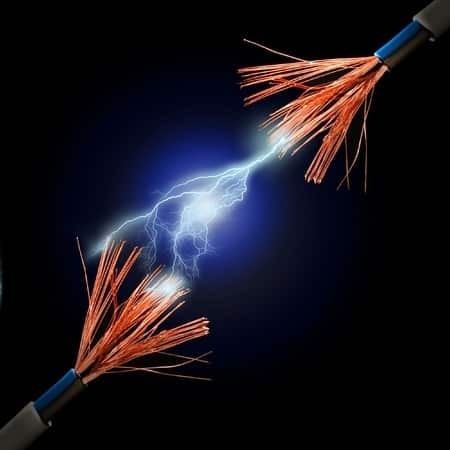 Although many homes feature extensive and intricate electrical wiring, very few of us possess the required know-how and experience necessary to tamper with any of it. 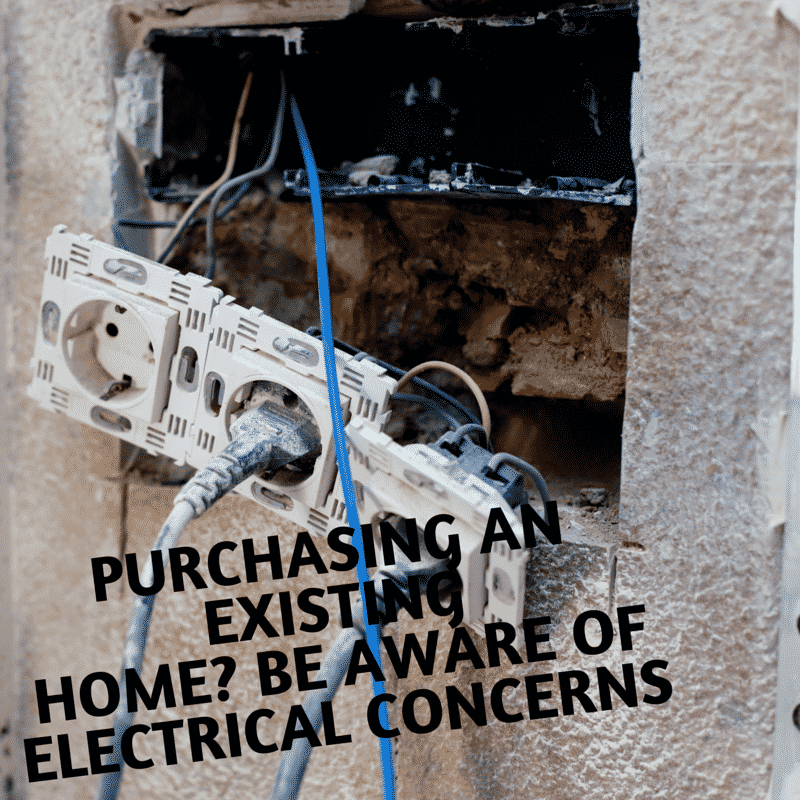 Attempting to work on your electrical wiring and the circuit around your home can damage the wiring and various outlets, and can even have disastrous consequences for your health. Working on electrical projects without the proper training, experience and equipment put you at risk of a high-voltage electrical shock. These shocks cause severe burns and have been known to induce stroke and even death in victims. Electricians, on the other hand, with all the proper training and expertise imbued by their profession, can handle the electrical equipment around your house safely and professionally. This means that the risk of damage to your home, the electrical grid and any people in the home is drastically reduced. It’s not worth the risk to attempt working on electrical equipment yourself: when you’re troubleshooting your home, always call an electrician to get the job done properly. 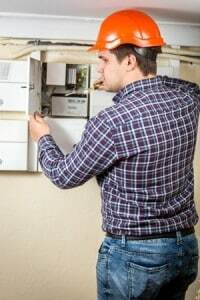 When electricians head out to homes in West Chester, their first port of call is to have a look at the same problem areas that you’ve identified. 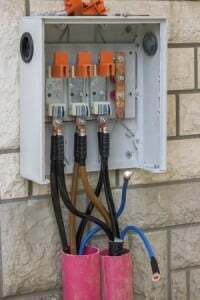 These could be areas of poor wiring, power points prone to surging or blacking out, or a switch in your fuse box that keeps causing the house to black out. The electrician will then have a look at malfunctioning appliances and tripped circuit breakers before ensuring correspondence between the various electrical components of your home circuit. Once your electrician has had a look at everything in your home, they’ll make sure everything is working properly and at maximum energy efficiency. When your electrical circuit isn’t working properly, it can send your electricity bill skyrocketing, as your home’s appliances consume more electricity than necessary due to the inefficiency of the power circuit. Like all machines, your home appliances will wear out over the years thanks to continuous use, as will your power points and fuses. Homes in West Chester and similar areas can lower their electricity bills and the wear and tear imposed on their power circuits by turning off appliances and power points when they aren’t in use. This way, you reduce the amount of wear endured by your appliances and circuits, minimizing your power bill and protecting you against the need for professional electrical intervention. This entry was posted in Electrical and tagged electricians, troubleshooting on March 8, 2016 by admin. Use these ten ways to reduce the cost of electricity for the home. Learn how to reduce your electric bill by paying more attention to the efficiency ratings of home appliances at time of purchase. This is particularly important for larger appliances like freezers and refrigerators, but may also include today’s higher capacity washers and dryers. More efficient use of home appliances may require a little planning. For example, opening and closing refrigerator and freezer doors reduces the temperature and requires more electricity to restore the manufactured temperature rating. For laundry appliances, coordinate the use of washers and dryers so that they are operating for shorter periods of time. Make use of energy efficient settings on washers and dryers. Generally, these settings apply to types of fabrics that require less time to complete laundry cycles. Most electrical thermostats for HVAC systems have the ability to program the temperatures for heating and cooling according to personal needs. For example, program the thermostat so that it reduces the temperature when the home is unoccupied. Small appliances like coffee makers can be programmed. Coordinate the use of home entertainment units and computers by turning them off when not in use. Note that a small amount of electricity is generated to these units when they are plugged in to an electrical socket. Use electrical timers to turn lighting on and off inside and outside the home. This is a safety feature as well as a way to reduce the cost of electric bills. Reduce the wattage of light bulbs. 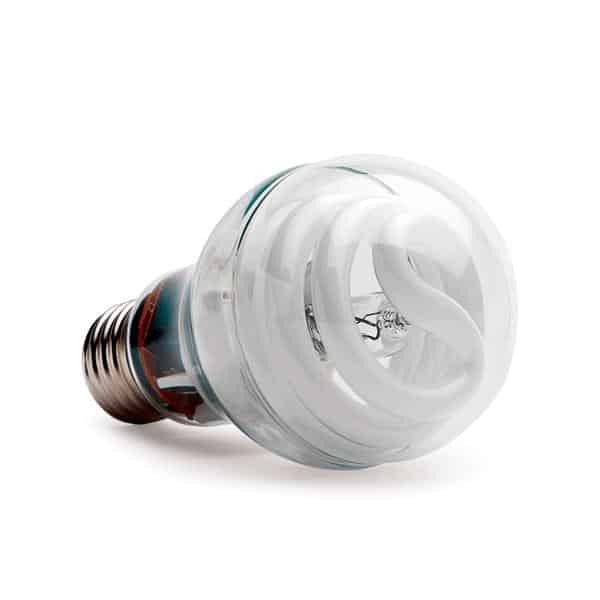 There are several different brands of light bulbs that are energy efficient and offer longer life. Upgrade the electrical amp service for optimal efficiency. Many older homes have outdated amp service that increases the cost of electricity when new appliances and other electrical devices are added. Consult with a licensed electrician to upgrade the existing amp service. Replace outdated appliances like toasters, mixers and blenders that don’t offer energy efficiency. Keep a close eye on the electric meter readings and monitor and track changes like highs and lows. Keep dryer vents free of lint and replace furnace and A/C unit filters. Don’t forget to reduce the temperature on your water heater. A slightly lower temperature reduces the cost of electricity. Following these simple strategies will help to Efficiently Use Electricity and Save Money. Your Westchester home needs regular maintenance and checks to make sure everything is in order, and so do your appliances! It’s easy to look after small kitchen appliances, but looking after the larger ones, especially your refrigerator, can be a challenge! You may find that a frayed cord or a damaged cord can’t carry electricity as effectively, and so it draws more power than it should, which can then result in the power flickering — or worse, an outage. A damaged plug might overload, which causes overheating and could even burn out your refrigerator entirely. The exposed wires inside the cord can interact with other wires nearby by arcing, which can lead to more wiring damage, or worse, an electrical fire. Fraying can happen as part of normal wear and tear, especially in older models of refrigerator. You may find that the cord is damaged while moving, or while being dragged across a surface. 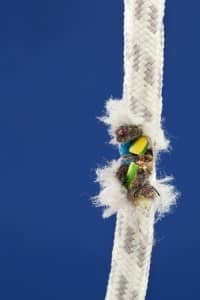 Smashing or crushing the cord, or catching it on a sharp object, can also cause damage. It’s generally not advised to trap your cord under a rug, or hang it from a nail. The cord can fray and wear away at any point along its length, and even crack open. So check the full length of the cord! It might also separate from the plug itself, revealing the wires at this weak point. As a homeowner, you should be checking on the condition of all your appliances regularly. 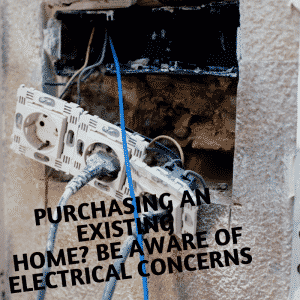 If you find it’s damaged, don’t wait to see if it gets worse — contact an experienced, licensed electrician right away! Generally it is important to cut the power to the device to prevent a burnout or worse, a fire. This can be as simple as unplugging the fridge, but in severe cases it is safe to cut power from the circuit breaker. In many cases, you do not need to replace the entire appliance! It is possible to repair or replace the cord. 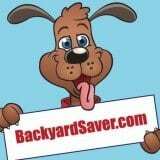 Repairs are often the least expensive option, especially with older models of refrigerator, which might not have replacement parts readily available. Do not attempt DIY repairs where electricity is involved! Instead, you are better off calling us and setting up an appointment with one of our experienced and knowledgeable electricians! We can get your refrigerator back to a safe, working condition and ensure your kitchen remains the lifeblood of your home. This entry was posted in Electrical and tagged frayed cords on December 14, 2015 by admin. When homes were first set up for electricity in the late 1800s and mid-1900s, the common technique used was knob and tube (also called K&T). Electrical technology has outdated this system, although it is still found in older homes and buildings. There are some safety concerns that need to be addressed if someone still has this obsolete system at home or in a business. 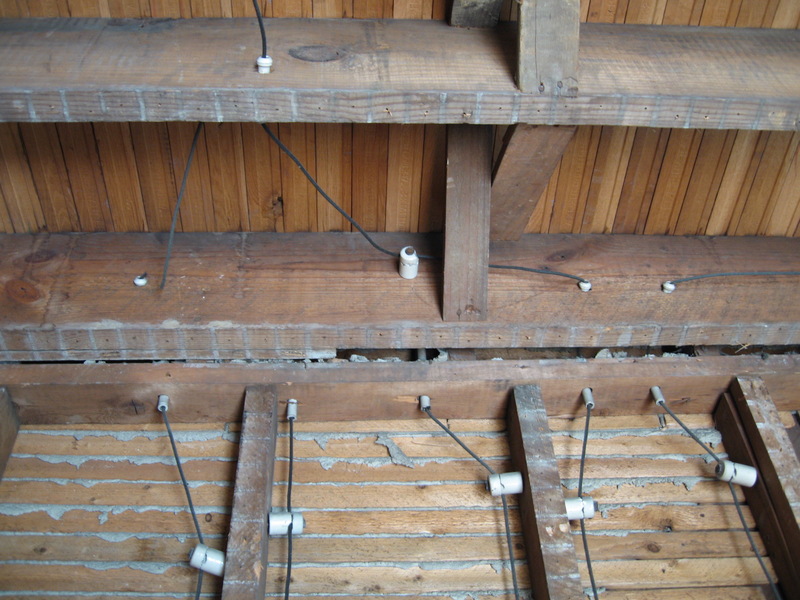 K&T wiring used conductors made of copper and ran them through holes in the beams and studs of the building’s framework. The holes were protected by tubes that were made of porcelain. The copper lines were supported by knobs that were also made of porcelain. Rubber or cloth looms protected the wires that were hooked up to electrical devices, such as wall switches. Inherently, it was a decent electrical system for the times. The porcelain parts used can last indefinitely, so it was a good choice. Homeowners were less likely to hit a wire while putting a nail in the wall, because the K&T wiring is held inside protective holes in the frame. The wiring used for the old system was actually more complex than our modern wiring. It required highly-skilled electricians to install it. The wiring was also easy to access when maintenance was needed. One of the main reasons K&T wiring can present hazards is because of its age. Often times, the first generation systems used inferior insulation around the copper wires. It was possible for moisture to oxidize the wiring and make them brittle; thus creating a major fire hazard. Since the system was easy to access, a lot of inexperienced people modified them improperly instead of allowing the whole thing to be replaced. Most of our modern appliances have three prongs that connect to a safety ground wire. This safety feature reduces possible fires and equipment damage. Since K&T wiring does not have this feature, three-pronged appliances cannot be used. Some people will opt for a safety adapter for this problem. Other people make the dangerous decision to clip off the ground wire prong. The development of ground fault circuit interrupters have saved many people from accidental electrocution. These GFCIs are required in kitchens, bathrooms and laundry rooms in any modern construction. There are no such precautions in the K&T systems. Old, sagging wiring is problematic for K&T system. Older homes depended on heat from wood and coal and were not insulated. When furnaces and insulation were developed, contractors just stuffed the insulation around the wiring in the walls. The K&T system concept allowed for any heat generated from the electricity to just dissipate into the air between the walls or ceilings. It was not meant to be wrapped by insulation. Fires often occur because old frayed wiring ignites the insulation material. For obvious reasons, this outdated system is not permitted in new construction. Some local ordinances mandate that homes and businesses with the knob and tube electric be completely replaced. Others provide for safety modifications made by licensed, qualified electricians. More often than not, inspectors recommend that the system be replaced to minimize fire hazards. Unsure about your homes wiring contact us for a safety inspection. This entry was posted in Electrical and tagged knob and tube on September 9, 2015 by admin. While most people understand the dangers with electricity, it is easy to forget or simply take it for granted. Many power accidents are avoidable, and the following electrical safety tips for homeowners will keep everyone safe. Check that power tools have an undamaged cord and are plugged into a proper grounded source. In addition, ensure that appliances, such as toasters and microwave ovens, are unplugged before beginning repair work. In many cases, it is better to have an expert perform the repair work. Do not overload power strips. While useful, power strips are not meant to provide electricity to an entire household of appliances and devices. It is safer to place one to two strips in each room of the house to distribute load evenly. Investigate flickering lights. When lights flicker or turn off and on randomly, it can be a sign of loose wiring or the need to replace switches. Lighting terminations should be tight and grounded. Check outlets regularly. Power outlets can become a fire hazard if they are overloaded. Using a space heater also brings the risk of fire. A standard 120v outlet should never power more than two devices. Have appliances professionally inspected. Many cases of electrical shock or fire occur when homeowners attempt to repair appliances or related power issues without help. A professional electrician should be consulted. Do not attempt to move a fallen power line. Electrical lines can fall due to weather events and are often still live when they reach the ground. 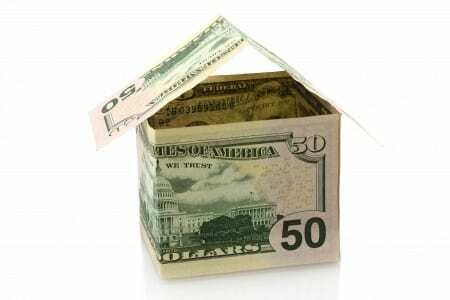 Under no circumstances should a homeowner approach a fallen line. Always call the power company or an electrician. Older homes require inspection. If a home was built more than 40 years ago like many in West Chester and surrounding areas, it may have an outdated electrical panel, and the wiring may be brittle or cracked. A home is a very large investment, and an electrical inspection is one way to protect it. Take a course on home electrical safety. This is a great way for homeowners to get educated on home improvement and safety and make the proper decisions when it comes to electricity. One of the best electrical safety tips for homeowners is to call an electrician for advice and to schedule a home appointment when problems arise. You may also want to check our “Keeping Family Safe” ™ checklist for additional tips on keeping your home safe. This entry was posted in Electrical and tagged Electrical Safety Tips on August 9, 2015 by admin.